Co-Location has become an essential solution for thousands of UK companies looking to host their business critical servers, data and applications in the most secure and resilient environment possible. Missing Link can provide flexible colocation solutions at flexible monthly costs. Many of our clients like to maintain control over their hosting and IT systems whilst lowering the risk and cost of owning such infrastructure. We will discuss your racking and security requirements and provide you with clear options, helping you chose the very best solution for your purposes. Whether you are looking to move from your existing data centre to a more resilient location, or researching colocation for the first time, we are here to help. 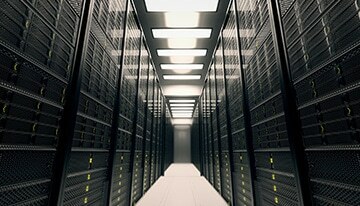 Missing Link operate a secure Datacentre conveniently located closed to J27 on the M6. Our facility is designed for power, cooling and network resilience throughout. In addition to offering free setup and 24/7 escorted access, our engineers are located on-site and are always available to assist and support you whenever you require. Using Missing Links Co-Location offerings for your businesses are ideal if you're aim is to ensure visibility of the hosted infrastructure, operating systems, software and security your business uses, whilst reducing the cost & risk of ownership. At Missing Link we appreciate that every business is unique so we have designed our co-location infrastructure requirements with that very thought in mind. As with all the services offered at Missing Link, we design the Co-Location requirements with your 'unique need' in mind and do this via direct consultation with you, as our client and through this process you'll also gain the peace of mind you need that you are dealing with the right company. Along with that peace of mind, our secure data centres are designed for with network resilience, security and power consumption in mind.